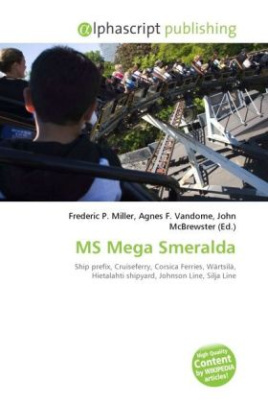 MS Mega Smeralda is a cruiseferry owned by Medinvest and operated by Corsica Ferries. She was built in 1985 by Wärtsilä at the Helsinki New Shipyard in Helsinki, Finland for Johnson Line as MS Svea for use in Silja Line traffic. Between 1992 and 1994 she sailed for Silja Line as MS Silja Karneval, and between 1994 and 2008 for Color Line as MS Color Festival.